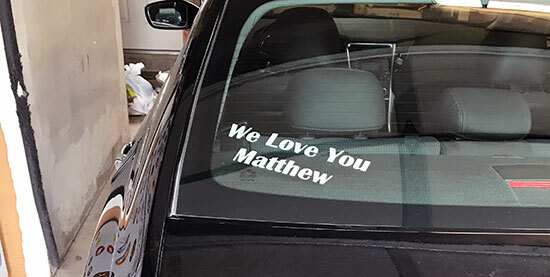 Vinyl Lettering Use: I had these made for a message to our son who recently passed away. 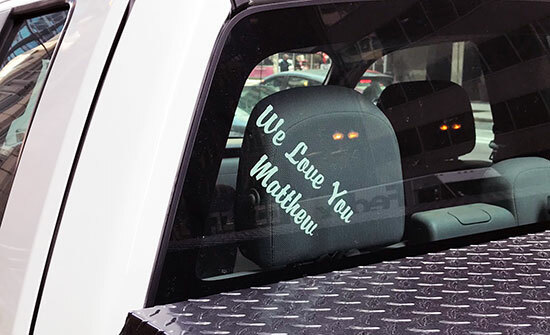 Put one on my truck. One on his car that I am keeping and one on our front window.